NCB Capital Markets is reading a number of new public share issues to come to market by the summer this year. Kimala Bennett, Managing Director of The Lab. 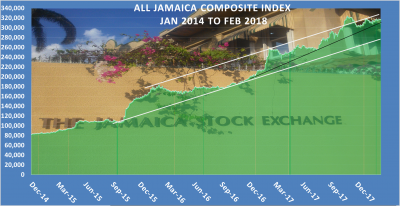 Jamaica Stock Exchange main market by early summer. The above will come on top of the current public offer of Wigton Windfarm that opens next week to raise $5.5 billion, earmarked to be paid over to the government after expenses associated with the offer. 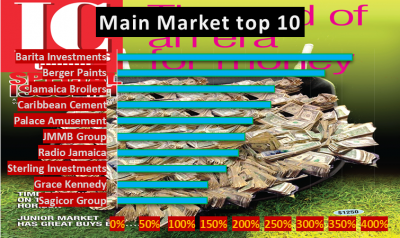 On Tuesday dealers purchased US$39.6 million from the public at $127.50 and sold $44.86 million at an average of $128.63 down from $128.93 on Monday. On Monday, Bank of Nova Scotia bought US$14.27 million and sold $11.68 million on Monday and on Tuesday bought US$5.6 million and sold $10.1 million while National Commercial Bank bought US$8.66 million and sold US$18.95 million on Monday and on Tuesday bought $4.1 million and sold $9.5 million. Sagicor Bank bought US$1.96 million but sold $9.92 million on Monday and on Tuesday purchased $787,000 and sold $1.89 million. 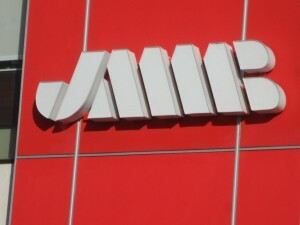 JN Bank sold $6 million on Tuesday having bought just $1.6 million and Victoria Mutual Building Society bought US$3.1 million and sold just $347,000. In foreign exchange trading, dealers in total bought US$56.13 million and sold $73.36 million, representing a net sale of US$17 million on Monday. Purchases of all currencies on Monday amounted to US$60.64 million and selling of $76.95 million and on Tuesday, purchases of all currencies amounted to US$45.44 million and selling of $59.3 million. 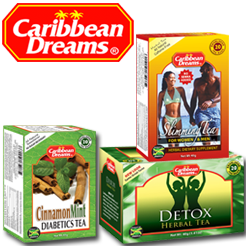 Including in the trade was the purchase of can$4.68 million and sale of Can$17.16 million. The sell off of US dollar is unlikely to be coming from stock piling of foreign currency and may be coming from banks selling the currency short hoping to buy back at a lower price in the winter months when the supply is expected to be higher. The financial institutions are also earners of foreign exchange from loans, bonds and fees on foreign currency accounts and would have some of these to sell. 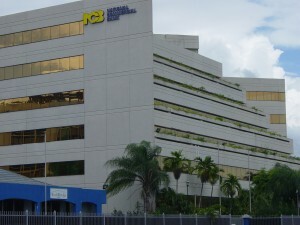 NCB Head Quarters in Kingston Jamaica. 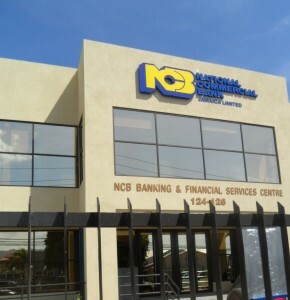 NCB Financial Group recorded an increase of 17 percent in net profit of $11 billion for the six months ended March 2018 over the prior year, pretax profit for the six months was up just 1 percent. Profit for the March quarter before taxation, rose a strong 22 percent over the similar quarter in 2017 to $8.26 billion but with taxation more than doubling profit after tax climbed just 9 percent to $6.4 billion. Net operating income grew 22 percent to $35.3 billion over the prior year and 26 percent for the latest quarter. Improvements in foreign currency and investment activities 109 percent in the quarter to $4 billion and by 97 percent in the six months period to $7.2 billion. Net interest income increasing by $1.3 billion or 9 percent and was driven by the consolidation of Clarien Group (CGL). Net fee and commission income grew by 11 percent or $749 million, mainly as a result of higher transaction volumes for point of sale and e-commerce channels, increased investment banking and pension fee income and the consolidation of CGL. Operating Expenses excluding loan loss provision rose 30 percent to $24.5 billion for the half year and 29 percent to $11.5 billion for the quarter. The Group’s loans and advances, net of provision for credit losses, increased by $127 billion or 61 percent to $334 billion to March. In addition to the consolidation of CGL, the president Patrick Hylton reported that “there was growth in all business segments’ loan portfolios: retail up 22 percent, corporate up 11 percent and credit card receivables up 25 percent. Nonperforming loans totalled $15 billion up from $5.9 billion at the end of March 2017.” The increase was due to the inclusion of CGL which has a non-performing loan ratio of 9.9 percent. NCB declared a dividend of 70 cents stock unit. The dividend is payable on May 28, for stockholders on record at May 11. 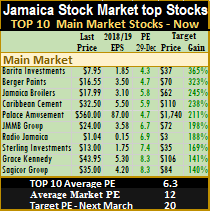 The stock closed at $95 on the Jamaica Stock Exchange before the results were released. 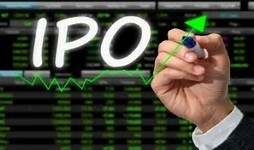 FirstCaribbean aborts IPO for NYSE listing. 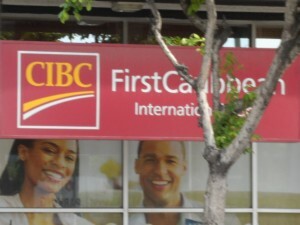 Firstcaribbean International Bank (FCI) announced that they have withdrawn their planned initial public offering ahead of its plan to list on the New York Stock Exchange. The Trinidad and Tobago Stock Exchange advised today, that they received notice from FCI advising of the withdrawal of the US registered public offering and listing of its shares on the NYSE in view of market conditions at this juncture. FCI had filed a registration statement in December 2017 relating to this public offering and proposed listing on the NYSE under the symbol “FCI”. 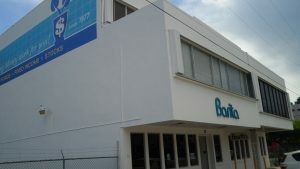 The company is the second Caribbean based banking group to have moved forward with plans to list on that stock exchange. 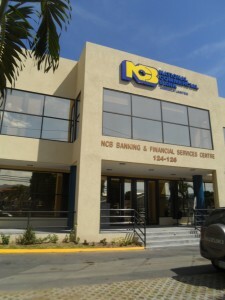 The first was NCB Group in 2013, incurring a $680 million hit from the costs relating to aborted Initial Public Offering (IPO) in the 2013 fiscal year to September, according to the company’s audited financial statements. The banking group was attempting to raise fresh capital in the international market, during the turbulent period ahead of the country reaching an agreement with the International Monetary Fund (IMF). The amount involved was written off against income thus helping to depress profits for the year. NCB lost $700M in its aborted NYSE IPO plans in 2013. Since then NCB has gone on to report record profits in 2017 with a 28 percent increase in the first quarter to December last year. At the same time FCIB that struggled for several years as it was battered by Caribbean countries in deep recession only saw a rebound in fortunes in recent years. In 2013, the FCIB group adjusted profit was just US$35 million rising to $83 million in 2014 and onto $123 million the following year then $143 million in 2016 and $151 million last year, but revenues have just barely grown as loans have stagnated with US$6.36 billion in 2017 from US$6.3 billion in 2013. NCB Financial Group has advised that the offer to acquire up to 62 percent of Guardian Holdings shares lapsed due to failure for condition 2.4.5 of the Offer. The conditions in summary stipulates that the conclusion of the offer is subject to there being no action instituted or threatened or investigation by government or its bodies or legal action that may delay the completion of the offer or make it illegal. At the end of Friday 23rd February, there are terms and conditions of the Offer which remain outstanding a release from NCB stated, as such and in accordance with the provisions of the Securities Industry (Take-Over) By-Laws, 2005 the Offer lapsed. The latest tally of offers received showed 535 Guardian shareholders tendered approximately 91,743,975 shares which, together with the NCB existing shareholding, represents approximately 70.24% of the outstanding GHL Shares. No shares deposited have been taken up by the Offeror. 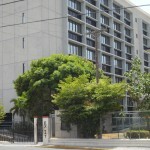 NCB future states that the Trinidad and Tobago Securities and Exchange Commission has decided to convene a hearing in accordance with the provisions of the Securities Act, 2012 in respect of the facts and circumstances surrounding the Offeror’s equity interest in GHL and the issuance of the Offer Circular. Banks in Jamaica make huge profits in a country with most person’s earnings just allowing them to meet minimum living standards, if not less. In short, banks are not loved as people think they prey on them. Some responses to IC Insider.com’s article on NCB Financial‘s first quarter results to December last year was revealing and indicate that the bank has much work to do to appease its customers. The reality is that a visit to banks on a typical day is a journey in frustration for many, even at a time when electronic banking is on the rise. One major outcry of many in recent times has been that bank charges for some services and the most vexing of all is the charge for dormant accounts. A big part of the problem seems to be that these large financial institutions don’t communicate well with customers and for other they feel that big banks don’t care. The complaints we had online relate to customer service generally— long waits for service in the banking hall and poor online experience. Sagicor Bank after more than 6 months have not reversed erroneous charge on credit card account. Referring to the multi-billion profit, one reader said “none of it is going to customer service… They still have the worst customer service in my opinion, both online or in line. And yet another had this to say, “it’s a pity that their online banking is so poorly constructed and maintained, that beyond getting a statement, it’s virtually useless. They questioned as to the reason why the Midas Card cannot be used to pay bills online? “ I don’t have an account with them and never will from what I heard time and again to be the worst bank” and the last is one from someone who is not a customer, “I don’t have an account with them and I don’t want one. While the responses are from a few persons, a visit to most banks will confirm that they reflect the concerns of many Jamaicans. Then, the banks will say they want customers to migrate to online banking but if customers are having problems there as well, the problem may be much bigger than the bank results suggest. The case is told of Sagicor Bank, payment on a credit card was done in July 2017, on time to two accounts. The payment for one was correctly credited but not the other, although both were paid with one cheque. After more than two weeks, the bank credited the account but the late fee was not reversed and up to February of this year, it still has not been reversed after several contacts with the bank about it. It is difficult to understand why the bank, having determined that an error is made by them, doesn’t automatically correct the charges. NCB Financial and Lasco Financial are reporting conclusion of the acquisition of their new subsidiaries. NCB Financial acquisition of the majority shares in Bermuda’s Clarien Bank that was subject to regulatory approval by the Bermudan authorities is concluded. Clarien has assets just over U$1.16 billion and reported profit of US1.2 million for 2016 before incurring an overall loss when other comprehensive loss is factored in, netting a loss of US$572,000 for the year. Results were weighed down by impairment losses on loans amounting to US$8.6 million in the year compared to US$9.2 million in 2015. 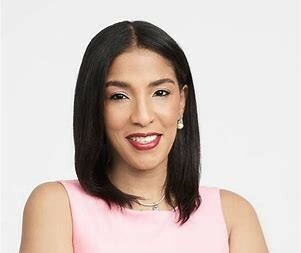 Lasco Financial advised that Scotia Group Jamaica has completed the transfer of Scotia Jamaica Microfinance Company Limited to the company. No details of the purchase price is mentioned but Scotia Group reported on the balance sheet as of October, assets held for sale amounting to $664 million which most likely represent the assets of CrediScotia. NCB’s next stop Republic Holdings? The price of US$2.45 offered by NCB Financial‘s for 32 percent more ownership in Guardian Holdings, is below the price the stock is trading at on the Trinidad and Tobago Stock Exchange of TT$18 or US$2.67. They need not worry, as they are virtually assured of getting the amount needed, based on the interest that Chairman Arthur Lock Jack has influence over in the Group. The acquisition of the added Guardian shares, will give the bigger NCB control over 2.6 million shares or just over 1.6 percent in Republic Financial Holdings, up from 2.17 million units in 2016, in Trinidad’s largest banking group. But that would be the start of a much bigger prize, that of control over Republic Holdings. Acquiring control of Republic while much more costly that the case of Guardian, will not be too difficult, as the Government of Trinidad and Tobago has directive over a large portion of Republic. Clico Trust holds 40 million shares or 24.69 percent of Republic, the trust has a finite life of 10 years ending in 2021, while an addition 9.98 percent is held by CLICO Investment Bank (In liquidation) and Colonial Life owns 11.786 million units or 7.26 percent. All three amounts are subject to the direction of the Government of Trinidad who will be willing to sell to the right candidate, but the Colonial Group held 51 percent prior to the Government taking over some of the assets of the group. The early target would be the Clico’s holdings, an amount set aside to compensate creditors in the Colonial Group. Sale of the Republic shares would allow for liquidation of the trust fund with investors getting an early exit and give NCB Financial an ownership level that would allow for booking any such acquisition as an associate. Acquiring majority shares in Republic won’t be as easy as Guardian Holdings, while the capitalization of the latter is TT$4, Republic is now over TT$16 billion. NCB currently has assets at the end of September is US$5.5 billion but Republic assets are US$10.3 billion. Earnings per share for Republic at September 2016 was 88 us cents climbing in 2017 to US$1.16. NCB Group total assets with the acquisition of majority shares in Clarien Bank will be in the region of US$7.6 billion and with majority shares in Guardian US$12 billion. Acquisition of majority shares in Republic would give NCB a footprint in a number of Caribbean countries that the Bank has no interest in presently. 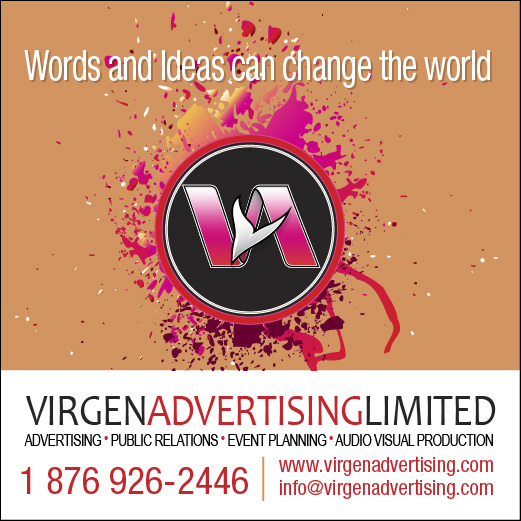 The countries include Suriname, Guyana and Grenada.